I have been reading A LOT of weightloss blogs the last few days. There is some FANTASTIC people out there that have far exceded their goals. One day I hope to be right there with them! 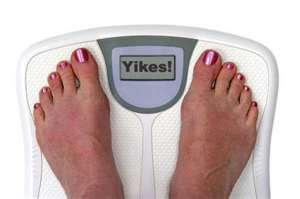 My goals are to loose 50ish pounds on or before Christmas 2012. I was looking on my phone and found a fitness app called My Fitness Pal. Its also online and free! You can calorie count and keep track of your workouts. Want to get ready to do the Insanity workout series - I bought them a couple years ago and made it half way thru then quit. This time I am going to go all the way!